The Carolinas have always treated Team Complete like a favorite son. As a construction company under the banner Complete, Inc. Unlimited General Contractors (License # 42065) we’ve been there from 1996 thru 2004 restoring properties damaged by builder liability water intrusion problems and from Hurricanes Bertha & Fran, Bonnie, Floyd and Isabel. Our hard when the hard construction side of Complete deployed to Hurricane Charlie. Our love affair with the Wilmington area began in 1983 when founder John Minor attended JT Hoggard High and spent time at the beaches off Middle Sound Loop road. When Team Complete finally returned to Wilmington in 1996 the city had grown tremendously. September 14, 2018 – Hurricane Florence makes landfall around Wilmington, NC. Wind-driven water is being push inland while very heavy rain is rapidly increasing flooding. While Hurricane Florence had been downgraded to a Category 1 hurricane, it remains a heavy rain and storm surge threat. Hundreds of thousands of homes have lost power, and this slow moving storm will remain in the Wilmington area for a number of hours. September 13, 2018 – Hurricane Florence is a large, slow moving storm moving towards the coastal regions of South Carolina and North Carolina. Evacuation orders are in place and the National Hurricane Center is predicting life-threatening storm surge is now highly likely along portions of the coastlines of the Carolinas. Complete Inc. asks all residents and business owners to take precautions now and to move to a safer location if you are in an evacuation zone. This portion of the low country of S. Carolina around Myrtle Beach and then up to the outer banks of Morehead and Hatteras Island have construction that is forced to deal with potentially huge storms every hurricane season. Coastal Carolina gets everything from Nor’easters to Hurricanes to snow storms. The need for quality construction and exterior cladding that survive these type storms is paramount in the Outer Banks. The use of the best quality roofing materials, thicker heavier shingles and better installation techniques proves the benefit of better construction and the inadequacy of inferior work even sooner due to weather. Wilmington including Landfall, Sea Trail & Porters Neck communities were the hot bed of synthetic stucco challenges in the 90’s and we were involved as the restoration contractor on millions of square footage of recladding projects. The work of restoring these properties led to the understanding of the root causes of these damages and the appropriate scope for repairs. It also allowed us to buy a lot of copper which lasts longer than many other materials. 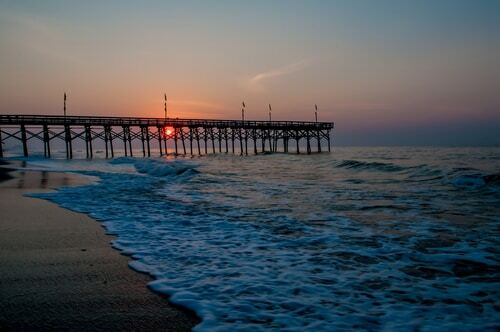 We have restored hundreds of homes, condominium units, commercial and municipal buildings throughout the beach towns of North & South Carolina. We enjoyed doing special roofing projects at UNCW as well as App State in Boone where we built the Centennial Plaza. We were the restoration contractor for the Town of Plymouth and the representative for Dare county in dealing with The National Flood Insurance program post Hurricane Isabel. We also restored the cedar shake, slate and terne metal roofs that make up the historic sections of North Carolina. Much of our experience was on the finest quality beach houses from Hatteras, Bald Head Island to Wrightsville Beach. This is Complete country and we are pleased to return to serve the needs of our clients and friends in North Carolina and South Carolina from The Outer Banks to Myrtle Beach. Hurricane Isabel was the most intense and costly hurricane that took place during the Atlantic hurricane season in 2003. Isabel first formed near Cape Verde, while going on to make impact in the Lesser Antilles, Puerto Rico, Greater Antilles, Turks and Caicos, Bahamas, North Carolina, Virginia and other American states. When Isabel first made landfall in North Carolina in September 2003, it did so with sustained winds of up to 105 miles per hour. While it did weaken in the coming hours and days, it hit Virginia and western Pennsylvania with similar devastation. The Outer Banks in North Carolina were completely devastated, while Virginia suffered a great deal of damage as well. Around 64 percent of the property damage and 69 percent of the deaths from the hurricane occurred in those two states. Other American states that were hit by the storm include Maryland, Washington DC, New Jersey, New York and parts of New England. It even made its way up to Canada. 22 people died in Virginia and 12 in other American states directly or indirectly due to Isabel. And it caused a total of $5.5 billion in damages to the United States. The Caribbean islands were also damaged, while the Bahamas, Greater Antilles and other regions suffered property damage as well. Hurricane Dennis was a Category 2 hurricane that struck the Bahamas, North Carolina, Virginia, Maryland and Pennsylvania during August and September of 1999. While Dennis had started as a tropical wave near Puerto Rico in late August, it eventually built up into a tropical storm. It first struck the Abaco Islands, met favorable wind conditions and strengthened into Category 2 status. When Dennis made contact in Cape Lookout, North Carolina, it was a strong tropical storm that caused serious issues in the region. It continued up the U.S. east coast, striking several states along the way with serious winds and heavy rainfall. The heavy rainfall, winds and powerful waves that occurred in the coastal regions of Florida, North Carolina and other American states caused devastation to nearby towns, while claiming lives as well. Around $157 million of damage was caused to Florida, North Carolina and Virginia. The Bahamas also suffered significantly due to this hurricane, with intense winds of up to 75 miles per hour hitting parts of the region. The high wind and heavy rainfall resulted in a lot of flooding and property damage in the area. No lives were claimed in the region or anywhere else besides the state of Florida. Hurricane Floyd was an incredibly powerful hurricane that struck the Atlantic region in September 1999. It was the fourth hurricane to hit the area that season, following shortly after other powerful storms. The brunt of the damage from Floyd was felt in The Bahamas and the East Coast of the United States. Atlantic Canada was also impacted. One of the legacies of Floyd is how it resulted in the fourth largest evacuation in the United States, behind Irma, Gustav and Rita. Around 2.6 million people in five states were ordered by state governments to leave their homes in search of safety. Floyd reached its highest winds of 155 miles per hour and struck The Bahamas at close to peak strength. It continued to cause similar devastation as it moved up the Atlantic and hit the Cape Fear region of North Carolina as a Category 2 hurricane. The hurricane claimed a total of 74 lives in the United States and The Bahamas, with the worst impact felt in North Carolina (51 deaths). The state also suffered significant property damage, with many coastal homes destroyed completely. Around four rivers in the state also reached flood levels that had not been seen for 500 years, causing further problems for the State. Hurricane Bonnie was a significant hurricane that made the biggest impact in the North Carolina region of the United States. It was the first major hurricane to hit during the 1998 hurricane season in the Atlantic region. During August 1998, Bonnie caused devastation in the Leeward Islands, North Carolina and some mid-Atlantic states. While the storm peaked as a Category 3, it was downgraded to a Category 2 by the time it hit the coast of North Carolina. It did lose its hurricane status for some time, but it quickly regained wind speeds after meeting favorable conditions. It was back to Category 1-force winds when it made further contact in North Carolina. The peak wind speeds when it made landfall ranged at around 100 miles per hour, while the rainfall was up to 11 inches at its peak. It is why the structural damage caused to homes in North Carolina was so significant, with windows shattered and roofs torn off completely. Around $1 billion worth of damage was caused to North Carolina and other American states due to the hurricane. Significant crop devastation also took place. One person died in South Carolina, along with another in North Carolina, due to the storm. Hurricane Fran was a Category 3 hurricane that caused significant damage to South Carolina, North Carolina, Virginia and other American states in August and September 1996. The storm first started as a depression in the middle of August, but quickly rose to a Tropical Storm. Many were expecting a tropical storm that may hit Florida, Virginia or South Carolina. However, Fran managed to become a Category 2 near the Bahamas. A few days later, it peaked with wind speeds of up to 120 miles per hour and managed to gain Category 3 status. The storm made landfall in Cape Fear, North Carolina in September. When the storm made landfall in North Carolina, it did lose a lot of its intensity. But the wind speeds and rainfall still managed to cause a lot of devastation up and down the United States’ Atlantic coast. The casualties as a result of the storm totaled at 27 people, with 14 of the deaths occurring in North Carolina. The state also suffered the most in terms of property damage, with $2.4 billion worth of damage occurring. Virginia and Maryland were also hit significantly, with $350 million and $100 million in property damage in those states. Hurricane Bertha was a significant Category 3 hurricane that caused devastation in the Leeward Islands, Puerto Rico, North Carolina, mid-Atlantic and New England regions of the United States. It occurred during July 1996, being one of the first major storms of that hurricane season. When Bertha made contact in and around the Leeward Islands, it was a Category 1 hurricane. But after passing through the islands, it went through a spell of significant intensification, where it reached up to a Category 3. The wind speeds were as high as 115 miles per hour during the peak of this hurricane. Many homes and boats were destroyed in the United States Virgin Islands due to the hurricane. Bertha caused close to $7.5 million worth of damage in the area. Puerto Rico suffered in a similar way, with one person perishing due to the storm. The state of North Carolina suffered the most when Bertha finally made landfall there. Many boats, marinas and fishing piers were devastated due to its impact. Many buildings and homes along the U.S. east coast were damaged as well. In total, 12 people died due to Bertha in the United States, Leeward Islands and Puerto Rico, while a total of $335 million worth of damage occurred in those regions. Hurricane Emily was a 1993 Category 3 hurricane that caused major devastation in North Carolina and other parts of the eastern United States. While Emily started as a tropical wave in the Lesser Antilles, it met wind conditions that resulted in its development into a Category 3 before making landfall. At its highest level, Emily had sustained winds of 115 miles per hour. Three people died in North Carolina as a result of the hurricane, while around $35 million worth of property damage was done. Most of that damage occurred in North Carolina, but nearby states were also impacted. Emily took place during the already busy Labor Day weekend in the United States in 1993. Many people had to evacuate their homes when the threat of the storm first became a reality. And around 160,000 people were displaced during that September weekend. Around 553 homes were damaged as a result of the storm, with about 168 completely destroyed. The governor of North Carolina had issued a state of disaster for the entire state after Emily hit. The President also made the same declaration, allowing people in NC to apply for federal disaster relief funds.